The United States and China have always had a tumultuous relationship, defined by ideological differences, ambitious expansionary policies, and increasingly interdependent and intertwined economies. Ever since President Nixon’s 1972 visit to the country, this relationship has only become more significant in the global arena. In terms of sheer human capital, China and the United States are two of the top three countries in the world by population size. China is the United States’ largest trade partner, with approximately $710 billion worth of goods and services traded in 2017. The two countries are the largest players in international markets as well. However, as it stands today, the relationship has been souring, with trade wars and aggressive policies supplanting cooperation between these two superpowers. It is, therefore, imperative to understand the process that brought us to this stage, as well as the possible solutions to this conflict. One of the most prevalent, and possibly the most misguided, allegations against China is the “unfair practices” China engages in when it comes to trade with the United States to maintain a strong current account surplus. China far surpasses the United States, both in productive capacity and runs a trade surplus with us. Bilaterally, China’s widening trade surplus with the United States has often been cited as an excuse for the United States’ retaliatory measures. These retaliatory measures often take the form of protectionist policies like tariffs, which consistently undermine economic competition in the democracies that clamor for them. Popularism must not become a substitute for rigorous policy analysis. Even so, it might appear to some that stemming the outflow of capital into China is an ideal solution to this growing trade disequilibrium; the intuitive appeal of heavy-handed tariffs makes it particularly easy to convince people of their efficiency in achieving this aim. However, to the extent that we consider what is beneficial for the United States, this is simply untrue, for a few reasons. Right from the outset, it is obvious that tariffs are simply not effective – there are many ways to bypass them. Facilities could be set up in trade zones, where there is a cut on the import and export duties for products. Redesigning products sufficiently for them to bypass conditions imposed on specific goods could exempt companies from paying tariffs. Rerouting exports to mask their true origin (a process called “transshipment”) would allow China to openly export goods and services to the United States without having to claim any responsibility for it. Shifting profits offshore, a process known as transfer pricing, is a system of managing profits and maintaining accounts in such a way as to spare the company the stricter tax and tariff rules domestically. It is clear the only thing tariffs achieve is a misallocation of time and capital, from making genuinely profitable investments for the firm to creatively bypassing the tariffs. The biggest irony here is that the greater the tariffs imposed, the greater the incentive to engineer ways of bypassing them. The imposition of tariffs is inherently a non-solution that can only snowball out of proportion, with the list of goods to tax monotonously increasing. Furthermore, even if we consider the US-China duo in isolation, these tariffs would not make sense, since elementary economic analysis reveals that a trade war can only harm all parties involved. Statistically, a report by Morgan Stanley’s research team reveals that a trade war could drop global exports by 2.7% and global GDP by 0.6%. I would take this argument a step further and say that China is more well-positioned than the United States to sustain its economy even in the face of retaliatory measures from the United States. Firstly, with its vast financial reserves, it can literally be the last man – or in this case, country – standing in a trade war against the United States. Moreover, its centralized and tightly-controlled economic system allows for a micro-managed economy where the government can efficiently redistribute resources, thereby minimizing the pinch felt even during the worst blockade conditions. Evidence already exists to show how increased tariffs will bite the United States by hitting domestic consumers the hardest with increased prices. However, a brief analytic argument suffices: tariffs will reduce the supply of the goods upon which they are imposed in the domestic market, effecting a short-term price increase. A twofold effect is also foreseeable since many firms import Chinese products as factors of production (aluminum and steel, for example); the upper limit on “how much of [these] increased input costs [they] can … absorb” beyond which consumers will have to bear them then manifests as higher prices domestically. Nationalism – an ego issue? It is possible to argue that Chinese nationalism is to blame for these rising tensions. Potentially as a response to the Obama administration’s “Pivot to Asia,” China has been stepping up its regional presence and influence tremendously. Military prowess – specifically in terms of maritime presence – is one critical aspect. China’s island-building efforts in the South China Sea have been its not-so-subtle challenge to Western influence in its territory, and the United States has, despite its best efforts, been rendered a speechless spectator at best. Similarly, we can consider the slightly older Sino-Japanese clash over the Senkaku and Diaoyu Islands. The United States “confirmed that the security pact applied to the islands,” indicating a willingness to impose military might if the situation were to escalate. The fact that China adamantly refused to relinquish control of the region despite this hints at its ability and willingness to openly disregard the United States’ ‘authority’. Portraying the United States in this light is the golden ticket for China to hegemonize the East since it cuts to the heart of the layperson’s view of a ‘Western’ world as more ideal and superior in some way – and thereby opens up an avenue for China to establish dominance in the region. Another one of China’s strategies is to assume, ironically, the role of the ‘savior’ in the East, albeit in a slightly different context than the United States. The association of Asia’s economic success with China’s intervention is a strategy, unintentional as it may be, which could pave the way for China to dominate the East, ideologically at least. The host of economic initiatives and partnerships China has proposed with many countries in Asia and Africa, presented under the heading of mutual benefits and inter-regional cooperation, will reflect upon China’s capabilities, given that Chinese firms do take ownership of projects to a large extent. Consider the classic instantiation of expansionary policy undertaken by China – the Belt and Road Initiative. At a materialistic level, Chinese policies mandating that a proportion of raw materials and labor invested into projects shared with other countries necessarily be sourced from China imply that China stands to gain directly from this initiative. As for the financial side, the Chinese-established Asian Infrastructure Investment Bank (AIIB) could be understood as China’s challenge to traditional multinational financial institutions such as the IMF. The creative alignment of this initiative with local projects – such as Kazakhstan’s “Nurly Zhol” (Bright Road), Mongolia’s “Steppe Road”, and Vietnam’s “Two Corridors and One Belt”, amongst others – could potentially diverting the focus off its genuine intentions of cementing China’s position as an economic superpower and thereby establishing a hegemony to counteract Western influence. It can be argued that China is banking on a re-orientation of a large part of the world economy toward itself by means of this initiative – increased trade, investment, and connectivity in this region will render Eurasian countries more dependent on the Chinese economy, increasing China’s economic leverage over them. Economic leverage, of course, translates directly into political clout. Given these sentiments, it is possible to conclude that the United States feels threatened enough to be imposing tariffs and sanctions on China to ‘control’ its expansion. Comments from the Trump administration support this theory, with “putting America first” being the priority over maintaining international peace. In this case, direct retaliation is the aim, above and beyond what is economically beneficial for either country. While diplomatic measures would still be an ideal solution, this explanation of escalating tensions is more palatable and less incongruent than a purely economic motive. Yet another theory explaining this hostility expounds upon how China, in forming an independent entity, has not kept in line with international standards in terms of trade practices. IP infringements by Chinese firms have been an issue for some time. China’s model of foreign investment emphasizes joint ventures with state-owned enterprises. As such, foreign firms must often cede to the objectives of their domestic partners; and domestic firms are influenced to a large extent by the State. China’s central authorities thereby have a tool to directly manipulate firms seeking to enter their market and thereby engineer solutions to climb up the value chain in its exports. This manifests in the form of China using “any way possible to take advanced technology” and compete with world leaders in niche industries. Counterfeit goods re-exported by China, pirated software, and theft of trade secrets are generally cited as evidence in support of this argument, with estimates of the costs of such infringements and unfair trade practices ranging from $225-600 billion. As for technology transfer, China is still semi-closed; it still maintains a monopoly on firms wishing to penetrate its market. The accusation levied by the United States here is that China is abusing this power to only grant some firms access to its domestic market – specifically, those which are willing to share their technology. This would, of course, allow the domestic firms to operate and produce the goods independently, thereby turning them into competitors for the American firms which originally entered the market. Thus, there is a tension between gaining access to this market and maintaining a profitable business model. Either way, international regulations are cited to justify slapping tariffs onto China, with these cases often being taken up to WTO for a judgment. However, it is worth considering the argument that while the United States created these organizations and laid out these rules, China only joined them recently. Furthermore, as posited by Louis Henkin in 1968, “almost all nations observe almost all principles of international law and almost all of their obligations almost all of the time” even the United States is not entirely complicit with all international regulations, as seen in a dispute settlement which concluded that there were 11 cases in which the United States was disregarding WTO laws. The fact that originally-American institutions are the ones enforcing the rules downplays the United States’ shortcomings and exaggerates China’s ones, to some extent. As such, a necessary analysis of how severe China’s transgressions really are must be conducted before pronouncing China’s guilt or innocence. We have been discussing the shortcomings of the status quo to no end, but that does not mean that the United States needs to meekly accept its status as a declining power. A three-pronged solution targeting each of the aspects in which the United States and China are clashing is required, as elaborated upon below. A nuanced policy approach to counteract the economic disparity between the two countries would focus on embellishing the comparative advantage the United States does have and re-establishing surpluses in those sectors. Amongst the United States’ exports to China, the top 4 categories are aerospace products and parts, oilseeds and grains, motor vehicles, and semiconductors. Conspicuously, and very crucially, China has left aircraft and semiconductors out of its list of tariffs on American products. Clearly, this indicates an inability for China to (a) produce these products locally, or (b) find substitutable alternatives in the short term at the very least. This should be a crucial hint to policymakers; cementing the United States’ advantage in these sectors by value-adding these products – by improving their quality in some way, be it through increased speeds or through longer-lasting parts – and thereby monopolizing China’s market would be a significantly more productive way of tackling the issues discussed earlier. I concede that this solution may not seem sufficient; however, to the extent that it does not lead to any losses anywhere, be it losses due to competitive market forces, losses in trade volume, or losses in terms of the multiplier effect on the United States’ domestic market, this is a solution far superior to the ones currently being proposed by the Trump administration. Moreover, unlike explicit retaliatory measures such as tariffs, exporting products of a higher quality is not something China can raise fingers at – hence preventing even further escalation. Its feasibility in the United States depends entirely on how drastic of a change needs to be made, and it is not hard to envision this as a long-term economic undertaking. In response to Chinese nationalism, there is a delicate balance the United States must uphold between aggressively demonstrating its might and respecting Chinese boundaries. Studies describe solutions where the United States’ military prowess is demonstrated in a specific way such as to encourage cooperation on the international arena while establishing authority bilaterally – particularly in East Asia. Furthermore, instead of seeing China as a threat to American influence in Asia, it is key for American policymakers to realize that cooperation with China “reduces the costs to the United States of pursuing its vital regional interests in Asia”. In many cases, the United States relies heavily on China to promote its self-interests – from environmental policy to countering transnational crime, to controlling the proliferation of WMDs; the two nations are too intertwined to see one another as diametrically opposing in terms of their policy views. Finally, to tackle the issue of China’s divergence from international standards, it is imperative to note, as mentioned earlier, that these regulations were laid out predominantly by the United States – and only later were they agreed upon by China. Hence, in an increasingly multipolar world, it is not surprising to see China deviating from these standards to a greater degree than the United States or other countries that originally formulated them in the first place. A solution, radical as it seems, would be to reconsider international rules and regulations and to reformulate them in a way that takes China’s interests into consideration alongside those of other rising powers (such as India). Agreement upon the specifics and nuances of these rules would, to a large extent, incentivize China to align its practices with those of other countries. Such a solution would also iron out the possibility of any misunderstanding due to one world power having written and being the one to enforce these rules – China, for instance, would also have an incentive to impose these rules on the United States, given that it had a say in creating them in the first place. The United States and China’s differences have stemmed from historical disparities and trickled down in some form to the status quo seen today. Ideological differences form a general backdrop for these two superpowers’ vastly distinct behaviors in the international arena, while struggles to cement authority and power in their respective geographical regions constantly pit them against one another. The ‘politically easy’ arguments thrown around to justify the United States’ actions are insufficiently rigorous; however, there is still a place for certain measures to be implemented for the United States to safeguard its national interests. Ultimately, the situation is exceedingly complicated, with heated tension on both sides hindering them both from arriving at a logical and mutually acceptable middle ground. However, if the international community is to avoid complete fragmentation and disintegration, these two global leaders will have to put aside their differences. Office of The United States Trade Representative. n.d. The People’s Republic of China | United States Trade Representative. Accessed November 14, 2018. https://ustr.gov/countries-regions/china-mongolia-taiwan/peoples-republic-china. United States Census Bureau. 2018. Population Clock: World. November 14. Accessed November 14, 2018. https://www.census.gov/popclock/world. Tankersley, Jim, and Keith Bradsher. 2018. Trump Hits China With Tariffs on $200 Billion in Goods, Escalating Trade War – The New York Times. September 17. Accessed November 16, 2018. https://www.nytimes.com/2018/09/17/us/politics/trump-china-tariffs-trade.html. McCarthy, Niall. 2018. China Produces More Cement Than The Rest Of The World Combined [Infographic]. July 6. Accessed November 27, 2018. https://www.forbes.com/sites/niallmccarthy/2018/07/06/china-produces-more-cement-than-the-rest-of-the-world-combined-infographic/#4f0dc8f26881. Tollefson, Jeff. 2018. China declared world’s largest producer of scientific articles. January 18. Accessed November 27, 2018. https://www.nature.com/articles/d41586-018-00927-4. Zarroli, Jim. 2018. China Churns Out Half The World’s Steel, And Other Steelmakers Feel Pinched: NPR. March 8. Accessed November 27, 2018. https://www.npr.org/2018/03/08/591637097/china-churns-out-half-the-worlds-steel-and-other-steelmakers-feel-pinched. HSBC. 2018. China now produces more solar, wind and hydro power than the US and EU combined. But how? March 28. Accessed November 27, 2018. https://www.cnbc.com/advertorial/2018/03/28/china-now-produces-more-solar-wind-and-hydro-power-than-the-us-and-eu-combined-but-how.html. Trading Economics. n.d. TRADING ECONOMICS | 20 million INDICATORS FROM 196 COUNTRIES. Accessed November 27, 2018. https://tradingeconomics.com/. Mayeda, Andrew, and Mark Niquette. 2018. In Times of Trade War, Companies Get Creative to Avoid Tariffs – Bloomberg. August 10. Accessed November 15, 2018. https://www.bloomberg.com/news/articles/2018-08-10/in-times-of-trade-war-companies-get-creative-to-avoid-tariffs. Norris, Floyd. 2013. Apple’s Move Keeps Profit Out of Reach of Taxes – The New York Times. May 2. Accessed November 15, 2018. https://www.nytimes.com/2013/05/03/business/how-apple-and-other-corporations-move-profit-to-avoid-taxes.html?module=inline. Morgan Stanley Research. 2018. “Global Supply Chain Impact: Who’s Most Exposed?” Research Paper. York, Erica, and Kyle Pomerleau. 2018. “Tracking The Economic Impact of U.S. Tariffs and Retaliatory Actions.” Tax Foundation. Accessed November 16, 2018. https://taxfoundation.org/tracker-economic-impact-tariffs/#total. Bryan, Bob. 2018. Trump tariffs, China trade war hurting US companies, increase prices – Business Insider. October 15. Accessed November 16, 2018. https://www.businessinsider.com/trump-tariffs-china-trade-war-us-companies-prices-2018-10. Broadman, Harry G. 2018. The Dangerous Myth The U.S. Is Winning The Trade War With China. August 4. Accessed November 16, 2018. https://www.forbes.com/sites/harrybroadman/2018/08/04/the-dangerous-myth-the-u-s-is-winning-the-trade-war-with-china/#7e0ea166b2d0. Glaser, Bonnie S, and Gregory Poling. 2018. How China Seizes Its Neighbors’ Waters. June 5. Accessed November 15, 2018. https://www.foreignaffairs.com/articles/china/2018-06-05/vanishing-borders-south-china-sea. Council on Foreign Relations. n.d. Territorial Disputes in the South China Sea. Accessed November 15, 2018. https://www.cfr.org/interactives/global-conflict-tracker#!/conflict/territorial-disputes-in-the-south-china-sea. BBC, 2014. How uninhabited islands soured China-Japan ties – BBC News. November 10. Accessed November 15, 2018. https://www.bbc.com/news/world-asia-pacific-11341139. Liao, Rebecca. 2015. Rebecca Liao | How the AIIB is Different than Its Bretton Woods Counterparts. July 27. Accessed November 16, 2018. https://www.foreignaffairs.com/articles/asia/2015-07-27/out-bretton-woods. ChinaPower. n.d. How will the Belt and Road Initiative advance China’s interests? Accessed November 15, 2018. https://chinapower.csis.org/china-belt-and-road-initiative/. C-Span. 2016. President Elect Donald Trump Lays 100 Days. November 21. Accessed November 16, 2018. https://www.c-span.org/video/?418955-1/president-elect-donald-trump-lays-100-days. Long, Heather. 2016. How China doesn’t play fair on trade. July 12. Accessed November 17, 2018. https://money.cnn.com/2016/07/12/news/economy/china-trade-donald-trump/index.html. The Commission on the Theft of American Intellectual Property. 2017. The Theft of American Intellectual Property: Reassessments of the Challenge and United States Policy. The National Bureau of Asian Research. Henkin, Louis. 1979. How Nations Behave: Law and Foreign Policy. New York: Columbia University Press. Grimmett, Jeanne J. 2011. “WTO Dispute Settlement: Status of U.S. Compliance in Pending Cases.” Federal Publications. Washington, DC: Congressional Research Service, March 11. Loesche, Dyfed. 2018. Which Products Does America Export to China? April 4. Accessed November 16, 2018. USTradeNumbers. n.d. U.S. Trade with China tops $486 billion through September 2018. Accessed November 16, 2018. RAND Corporation. 2014. “Developing a U.S. Strategy for Dealing with China – Now and into the Future.” Research Brief. Accessed January 20, 2019. Lieberthal, Kenneth G. 2001. “U.S. 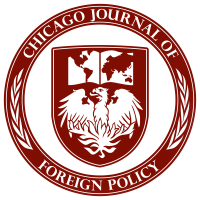 Policy Toward China.” Accessed January 20, 2019.